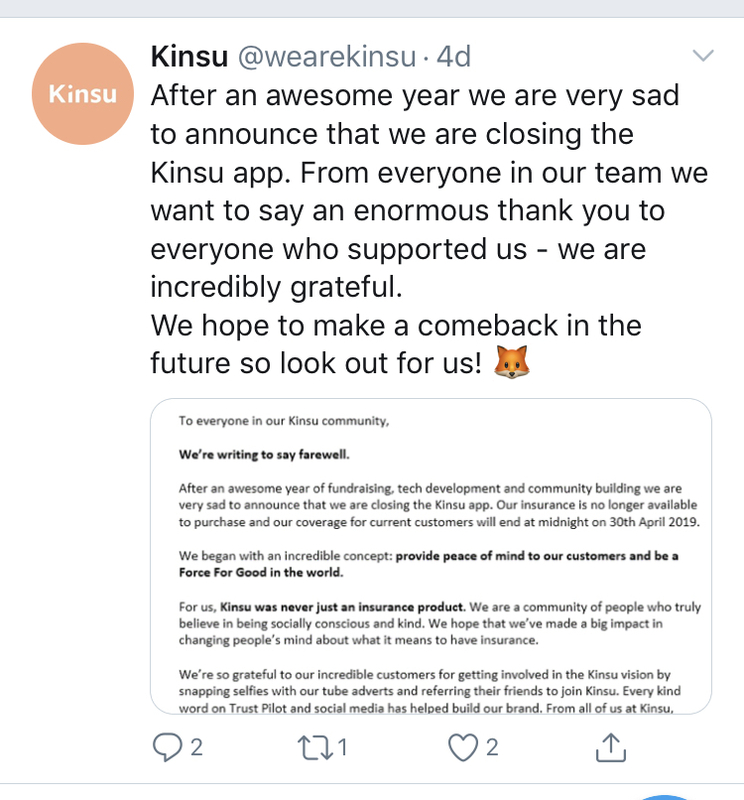 Insurtech Kinsu has announced it is shutting its doors, terminating its services on 30 April 2019. The Insurtech start-up launched in 2018 and it was a certified B-Corp, which means the business conformed to the “highest standards of verified social and environmental performance, public transparency and legal accountability to balance profit and purpose” as stated by the B Corp Lab. The closing firm highlights some of the partnerships it achieved with firms like Impossible, H2, Humankind, Emma and others. Kinsu was backed by Advent Solutions Management, a start-up incubator and insurtech investor. The coverage provided through its app was underwritten at Lloyd’s of London, with its insurer being Syndicate 4444, which is managed by Canopius Managing Agents. The firm had offices in both London and Portugal. It was founded by ex-Hiscox Bermuda director of underwriting Chris Sharpe and Russell Merrett, former managing director of Hiscox London Market. The Kinsu app was discontinued on 22 March.